Impeccably maintained, all-brick colonial home situated at the end of a cul de sac in Oaktons Windsong Community. Features 3 car garage, custom landscaping, brick patio, and private lot overlooking wooded area. Stunning 2 story foyer opens to formal Living and Dining Rooms. Gourmet Kitchen features granite countertops, stainless steel appliances, and cherry cabinetry. Open living and dining areas with fireplace, custom built-in cabinetry and coffered ceiling. Large master retreat with sitting area with fireplace, en-suite bath with separate shower and soaking tub, and large walk-in closet. Three large guest bedrooms also on upper level. Basement features large family room, game room, two additional bedrooms, cedar closet, and large storage work rooms. Dont miss the elevator that goes to all 3 levels, Bose sound system, and the whole-house generator. Roof replaced in 2017. 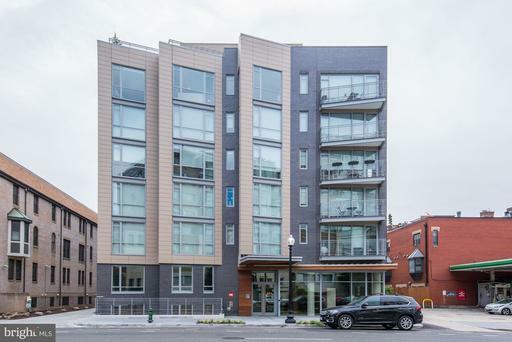 Modern one bedroom, one bathroom unit located in the heart of Logan Circle. High-end finishes include wide plank flooring, Bosch stainless steel appliances, high gloss Caesarstone quartz countertops. Elfa closet system in master closet and tv in living room convey. Bathroom features modern white vanity with quartz countertop, imported floor tile, and rainhead shower heads. Building amenities include rooftop terrace, bike storage room, package room, and stunning lobby. Storage unit included in price and on-site parking available. Low $342 monthly condo fee includes water gas.